You can use the old version, it is published separately "VAPE old school self-kneading". The new version will soon be refined, according to all wishes, so we advise you to install both applications. 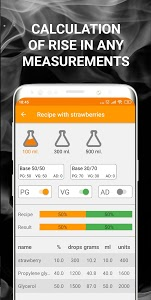 Any vaper, for whom self-mixing is not just a way to create a universal liquid, but also a method of self-realization, understands perfectly well how it is difficult to calculate the required amount of all ingredients to create an ideal vaping liquid. 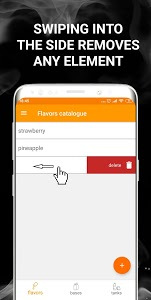 It is in order to solve this problem, I created a small mobile application that should help all fans and connoisseurs of VAPE. Initially, I developed the application in order to meet my needs. I tried to create a functional, which is not found in similar programs for gadgets on Android and iOS. 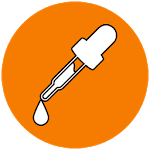 Each application that is created to knead the optimal liquid for vaping has its advantages and its own tools. I collected their best qualities in my own app and added new features. 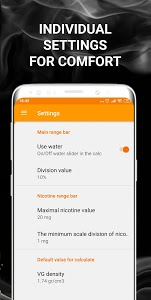 What can the calculator of fluid vaping? IMPORTANT! If the specified ingredients do not allow you to make the desired proportions of PG/VG in the mix, the program will give the most approximate calculation and be sure to show the difference in the desired and achieved result. 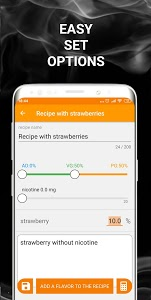 Liquid calculator has one key feature that distinguishes it from hundreds of similar applications, it can be used to produce calculation of doses of insulin syringes (such syringes have forty divisions). It is very convenient when you need liquid for tests in small amount. Liquid for vaping is a special liquid, which is refilled with electronic cigarettes and which evaporates during vaping of vaping. This is what distinguishes the electronic cigarette vape from the usual, where the tobacco mixture is used. flexible adjustment of ingredients such as density, price and number of drops per milliliter. 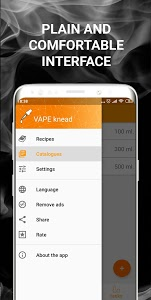 If you have any suggestions for improving the app or have any questions on the use of “VAPEknead” you can write to mail [email protected] or leave a review. Don't be afraid to experiment and create their best recipes! 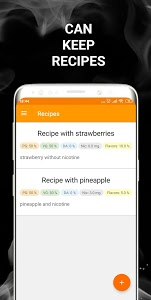 Similar to "VAPEknead: Vape calculator"